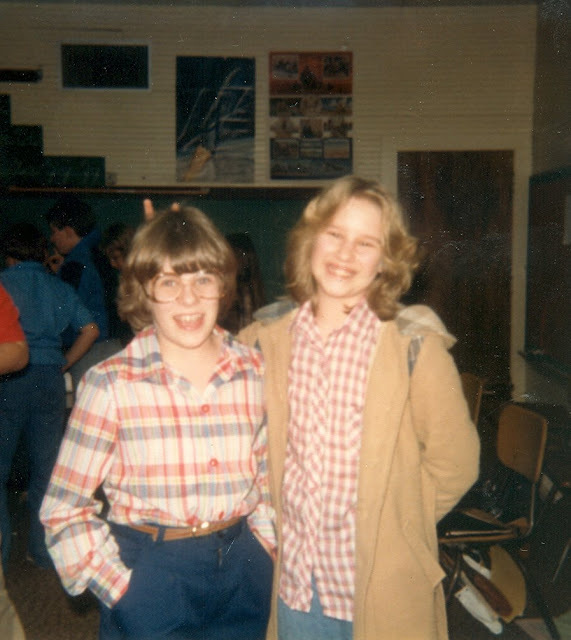 Continuing in a series of Middle School photos representing what had to be the most socially awkward time of our lives... these first three East End images are from Melissa Nesbitt. 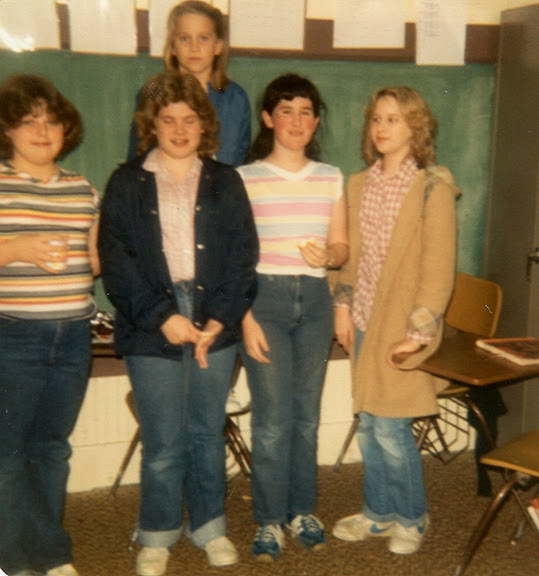 In the first photo we see Charla Bryant, Carol Reeves, Lisa Bradford, Melissa Nesbitt and Christie Romine. Tammy Ingle and Christie Romine. The question remains as to why Romine is wearing a winter coat, since these pics were taken at their year-end party in May. Below are more photos from Kathy Flynt. In the first one is Christy Sullivan. And do you all remember who's momma this is? 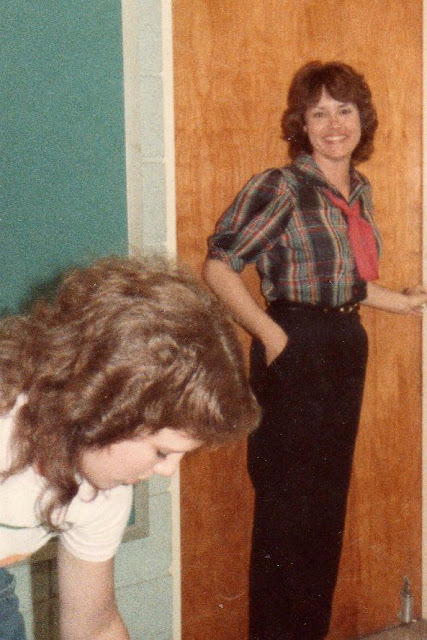 This is Sally Smith, Shelli's mom. She was a teacher's aide. I'm not certain, but I'd guess that Mrs. Smith is younger in this picture than we are now! Doesn't that just make you feel old!? 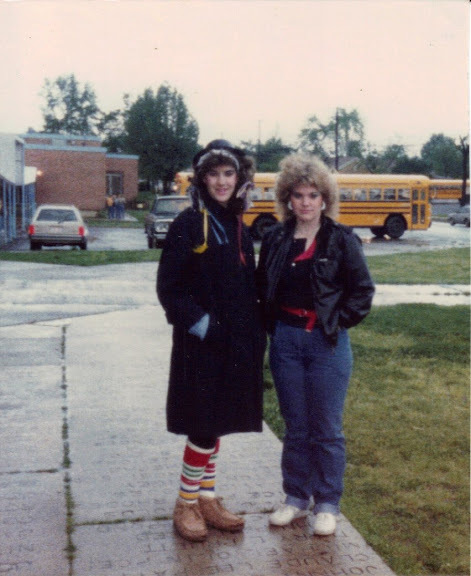 Toni McKeever and Lisa Bradford - both representing 80's fashion very well! The SMS Band Hall is in the background and the buses are pulling out from just dropping off the students before school. 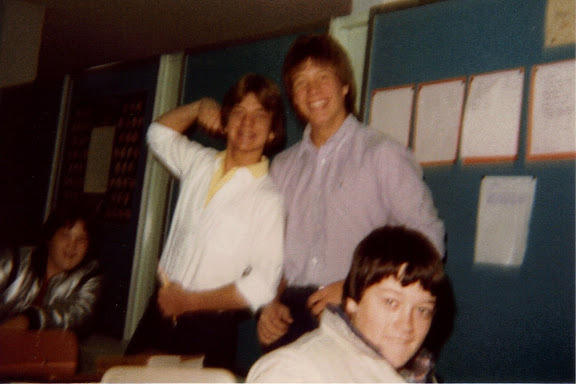 Here are Scott Herron, Alan Holmes and Bryan Clay. That looks like Donnie Davis in the background. These next 3 shots were taken in Mrs. Rhoden's class. Here are Shawn Plouch adn Waylon Williams. 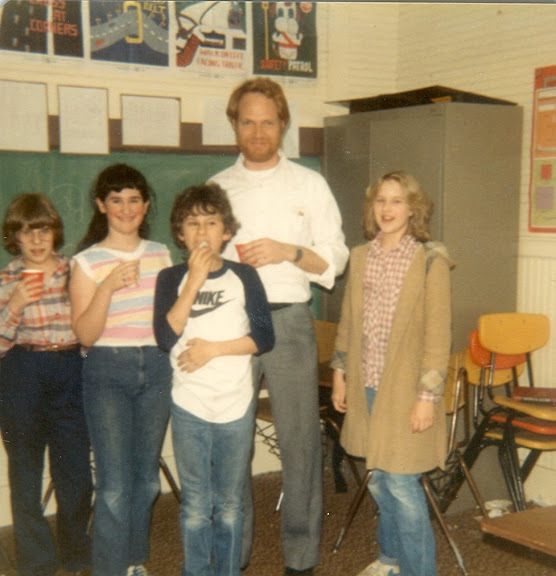 I think that's Ken Crutchfield on the far right. And there's Mrs. Rhoden's famous wristwatch wall clock that was the perpetual target for all spitwads. Scott Herron and Mrs. Rhoden. This picture was taken in the Band Hall. You can see the band uniforms hanging in their garment bags in the closet. We see here Lance Ashley, Kim Vailes, Christy Berry and Jamey Black. This is in the 8th grade. This photo made it into our 8th grade yearbook and is the girl's basketball team. Seated are Karen Vanlandingham, Kim Vailes and Vandra Williams. The other row has Cindy Cobb, Lorna Ashmead, Vicki Ausbrooks, Meliana Drake and Andrea Cushing. I have one more set of pics that will make up post 3 of 3, but you'll have to wait until next week to see them. But - I do have a special treat for Friday's post. Here's a hint: it'll be pretty short. In my defense, I was always cold in the classroom. Lisa is also wearing a windbreaker and Tammy is wearing long sleeves. Nowadays, I consider the temperature in Arkansas as warm. 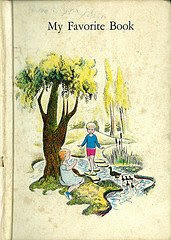 In fact, too warm and humid to visit in the summer.